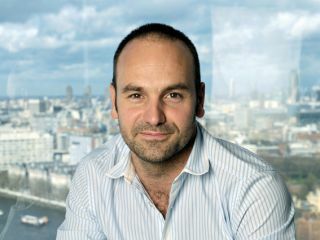 Mark Shuttleworth has announced that he is stepping down from his role as head of Canonical – the company behind popular Linux OS Ubuntu. Shuttleworth will step aside as Jane Silber takes over as CEO, with the entrepreneur insisting that he is by no means leaving Ubuntu behind. "I will focus on my passions of product design and development," said Shuttleworth. "I want Ubuntu to succeed as the open platform of choice for almost all use types whether on netbook, notebook, desktop, server, embedded device or wherever people compute. "That is a large undertaking and being able to focus on that, thanks to Jane, is a great privilege. I will also spend more time talking to and visiting partners and customers about what they demand from an open platform and feeding that back into the product through the community and Canonical." Silber was Chief Operating Officer for five years, and believes that separating Canonical from Ubuntu – the OS with which Shuttleworth will always be synonymous - is important. "This move will bring about is a clearer separation of the role of CEO of Canonical and the leader of the Ubuntu community, said Silber. "It will be two different people now, which I think will be helpful in both achieving their joint and individual goals more quickly." Interestingly, Canonical is a contracted 'contributing engineer' on Google Chrome OS - an operating system that is built on Linux, although it insists that there is no clash between the more traditional OS that is Ubuntu and Google's project. The change at the top of Canonical will be slowly managed, with the final stage in March next year.